When Mitra Taravat and her husband Amir came to Ottawa in May 2016, there are countless ways that fellow Iranian expatriate Farhad Derakhshan made a difference in her journey. Mitra lost her father two years ago, so Farhad has become a father figure to her. “Farhad is like an angel with a pure soul,” adds Mitra. Farhad knows first-hand how difficult the journey for an immigrant can be as he came to Canada as a refugee in 1984. 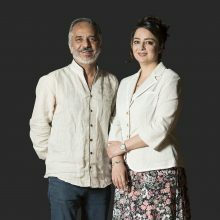 He had lived in India for five years, but thought that Canada was his best choice for a new home. He appreciates the political freedom and diversity offered in this country.